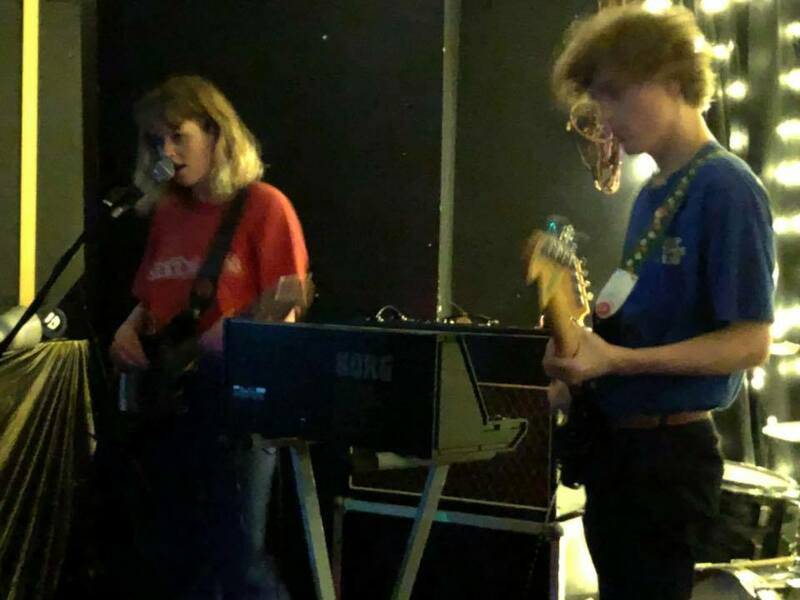 Pip Blom returned to Manchester for a final show of the year to build on her and her band's burgeoning reputation as an exciting live band at The Peer Hat on Wednesday night. Support came from another rising star, this time from much closer to home, in Phoebe Green. Buoyed by the underground success of last year 02:00am album, Phoebe has been starting to put a marker down on the live scene in Manchester over the second half of this year, having built a live band ready to take on bigger challenges that the reputation she's getting for herself will throw in her path. Already, she's developing a strong on-stage persona that goes with her songs' stories of growing up in the modern world and the issues that raise their head. 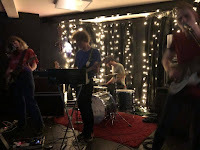 The seven-song set features six tracks from the album, starting with Maniac, delivered with the slightly threatening intensity of the album version, accentuated by Phoebe's voice, half-spoken, half-sung. Sagittarius has that wonderful in the near distance effect that she manages to recreate live and we notice a few ears prick up around the room as the song progresses. A new song Seeing Double, about (we think) getting drunk and making a mess of understanding things, feels like she's moving on a songwriter but still managing to retain the detailed relatable storytelling. Pure Blue, Drive, High and the final Watercolour Envy, all from the album, have enough diversity but continuity of purpose and themes to confirm the impression that Phoebe's got the potential to blossom out in 2018 once she's done with learning circuits like this. 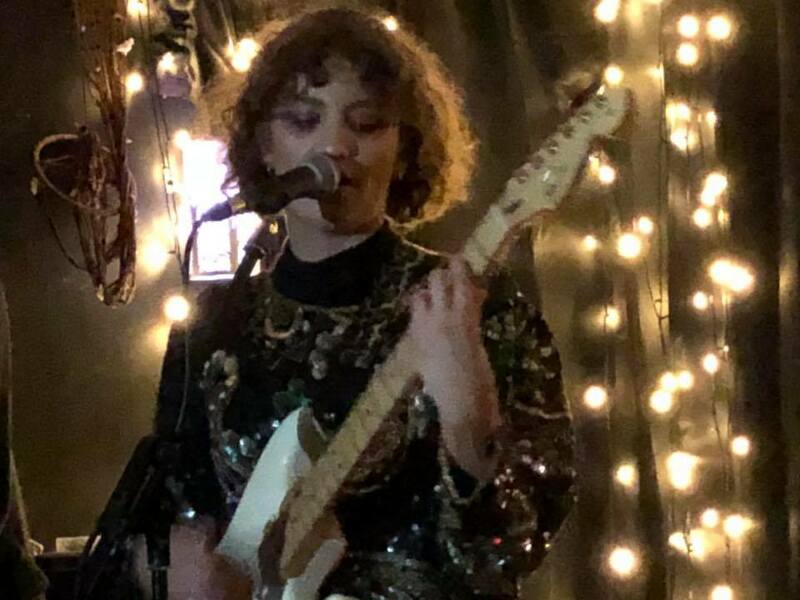 The raw unfiltered energy of Pip Blom's live shows have formed a major part in creating the buzz around her this year. Combined with the regular release of singles like Taxi Driver and, most recently, School, there's a sense of anticipation in the room. They don't say much as they dart from one three minute head rush to the next with the sort of fuzzy guitars that were once all the rage, but now seem to be horribly out of fashion. 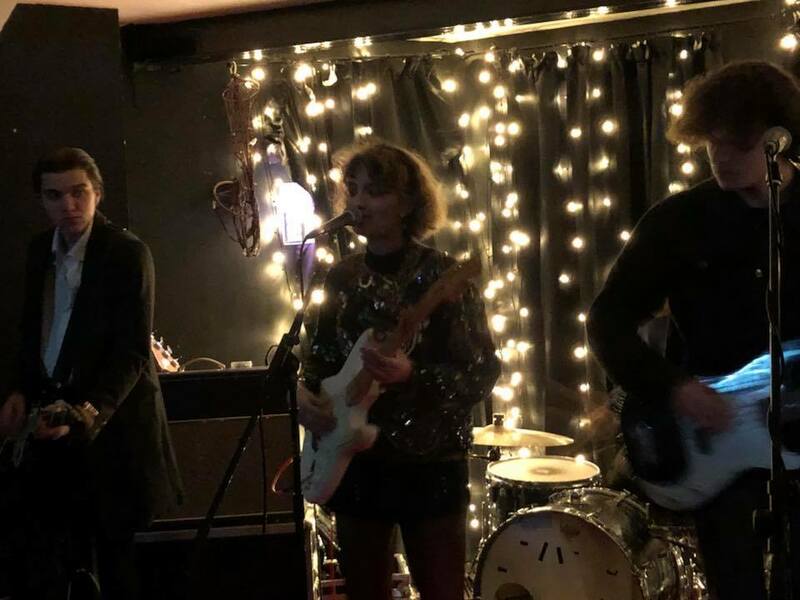 Pip and her band's mission is to change that though and it's impossible not to have the infectious energy of the four of them rub off on you in some way. Tender, in particular, looks like he's lost in a world of his own yet still manages to control his guitar. Pip's almost breathless vocals fight with the uplifting sounds she and her band are creating, but that's part of the thrill of what they do. As most of these songs have formed the set for some time now they're an incredibly tight live unit, but one that lifts and takes the audience with them. Some of that is down to the energy, the love and the passion that's evident in what they do as they lose themselves in what they're doing. 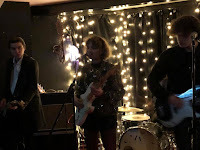 The songs themselves also possess enough variety to keep the audience interested, full of sudden changes of direction, feet pressed on or released from the accelerator pedal. I Think I'm In Love is a glorious example of just how well this works, but to deliver it across a set of around forty minutes takes some doing, but Pip Blow do just that, leaving us and the rest of the crowd buzzing by the end. 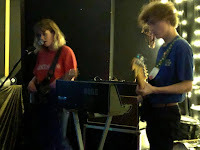 Pip Blom's official website can be found here and they are on Facebook and Twitter. Phoebe Green is on Facebook and Twitter.